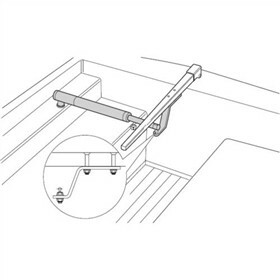 The Raymarine D011 is a 2 inch tiller bracket for tiller pilots which allows horizontal mounting of the pilot when the boat's tiller is higher or lower than the fixed end of the tiller drive. The Raymarine D011 has many exciting features for users of all types. You can extend the lifetime of your Raymarine D011 with the purchase of a FactoryOutletStore Factory Protection Plan. The Raymarine D011 is sold as a Brand New Unopened Item.